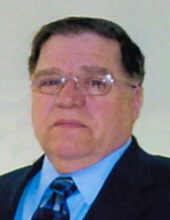 Donald L. Kemerley, age 71, of West Elkton, OH passed away Thursday, April 4, 2019 at the Greenbriar Nursing Center in Eaton, OH. He was born May 14, 1947 in Findlay, OH to the late Everett and Neva (Rettig) Kemerley. Donald was a U.S. Air Force Veteran. He retired from the Henny Penny Corporation with over 30 years of employment. In addition to his parents, he was also preceded in death by his son Christopher Kemerley who passed away in 2018. He is survived by his wife Patsy (Snow) Kemerley; daughter Melissa S. Kemerley, brothers Ron (Christine) Kemerley and Jan (Linda) Kemerley; sister Joyce (Tom) Bosse; and numerous nieces and nephews. Memorial contributions may be made to Hospice of Dayton or Cancer Treatment Centers of America: Gateway for Cancer Research. No services will be held per his request. Girton Schmidt & Boucher Gard Funeral Home, Eaton is assisting with arrangements. Online condolences and other remembrances may be sent to the family by visiting www.gsbfuneralhome.com. To send flowers or a remembrance gift to the family of Donald L. Kemerley, please visit our Tribute Store. "Email Address" would like to share the life celebration of Donald L. Kemerley. Click on the "link" to go to share a favorite memory or leave a condolence message for the family.